This Greyhound nicknamed Jasper sold and went to a new family. This little guy has looks and personality to spare. Jasper is as sweet and affectionate as can be but is still all boy. 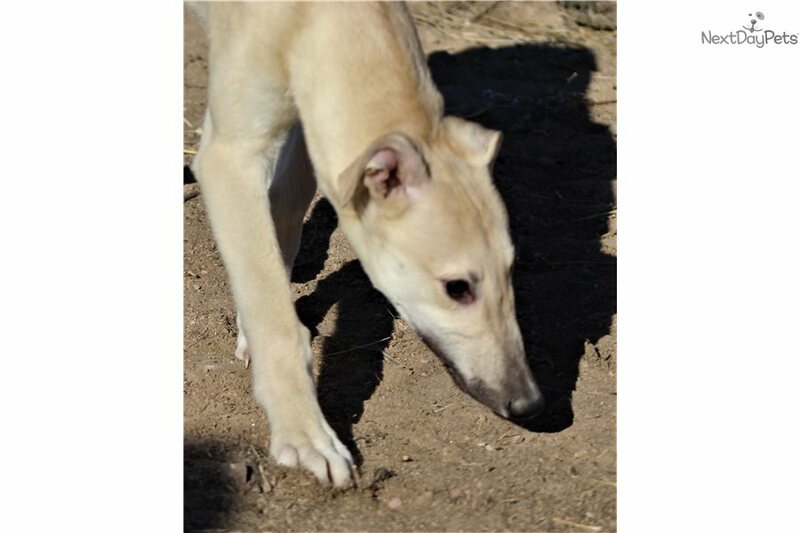 He is a gorgeous creamy light fawn with a just a sprinkle of black trim on his muzzle. 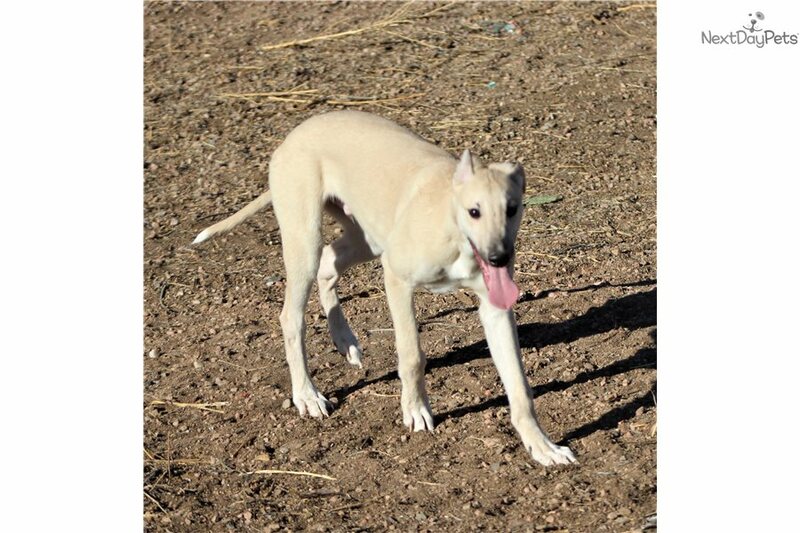 Greyhounds grow very slow so are puppies for a long time but Jasper has plenty of size for his age, promising that he will grow to be a nice big, visually stunning male. 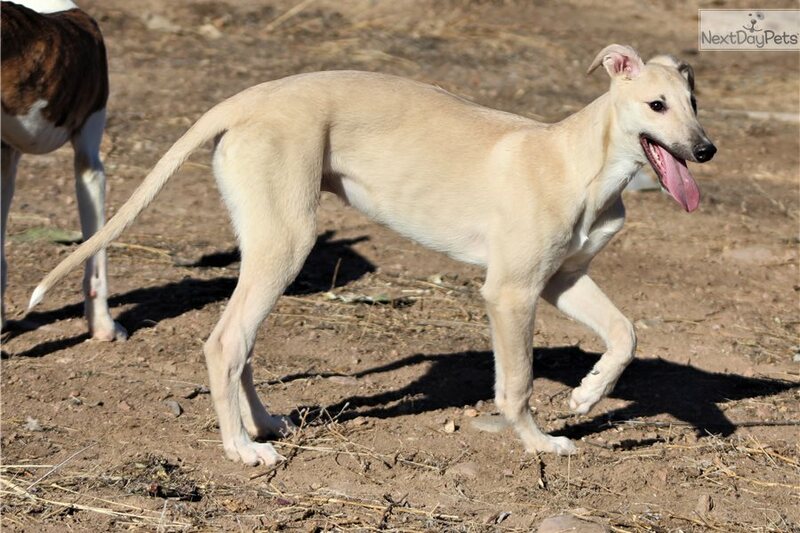 This friendly, bouncy boy has a wonderful outgoing eager to please nature that will make him a joy to raise and train. He is also very well bred out of our imported Irish bloodlines. He has excellent conformation making her a great show, performance prospect with brains and bloodlines to be a first rate competitor. 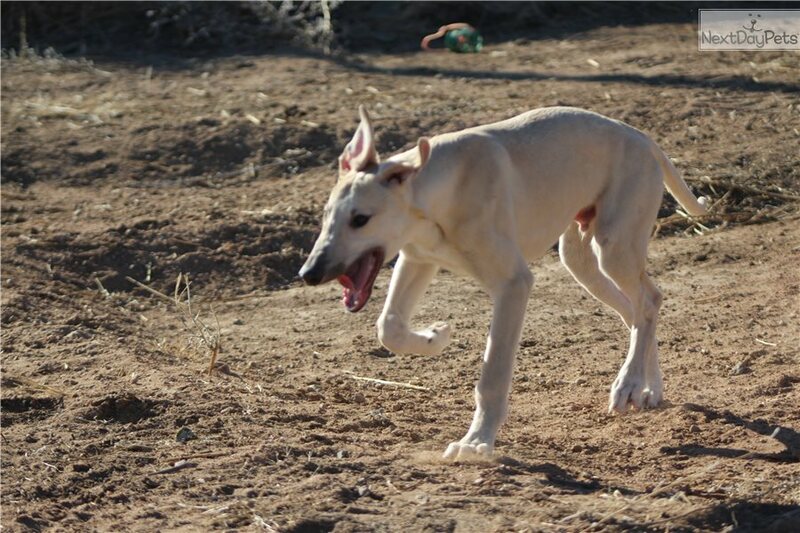 His excellent temperament will also make him the perfect young family member. 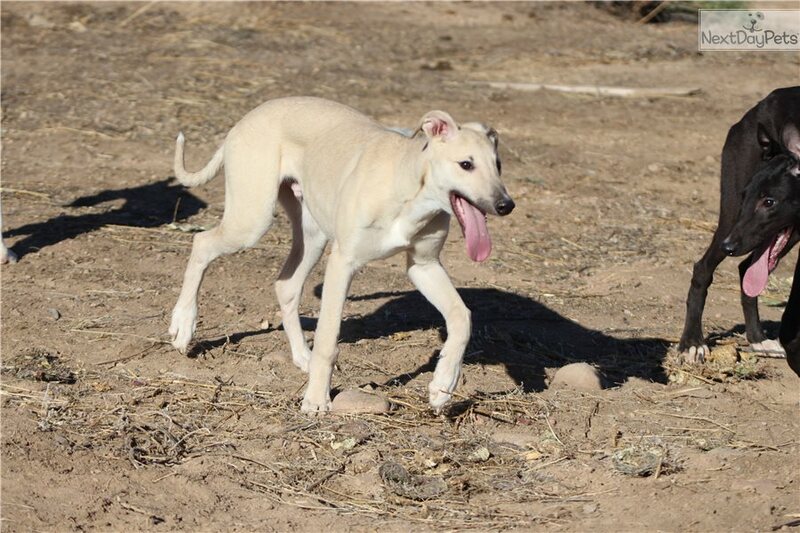 His mother is the gorgeous white and fawn Cashel's Wild Irish Rose dad is our stunning Cashel's Mighty Celt. He is ready now and comes current with all his vaccinations. 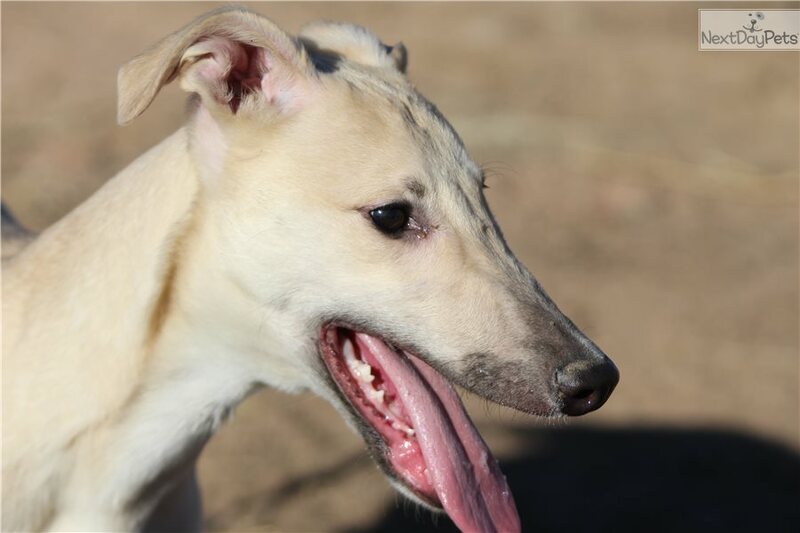 Cashel Farm is a third generation greyhound breeder and producer of numerous Champions recently the 2008 #1 nationally ranked ASFA lure coursing greyhound - Cashel's Tally Ho who was born and bred by Cashel Farm. Cashel Farm has the rare distinction of having two Best of Breeds wins from the prestigious ASFA II to our name. 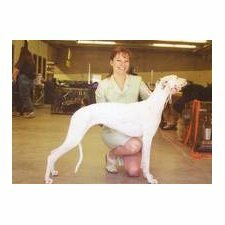 We boast an A+ rating with the Better Business Bureau and are also long time members of The National Greyhound Association, Fraternal Order of Police and The Colorado Emerald Society and subscribe to the strict ethical codes of conduct of these organizations. We also work very closely with our Veterinary Hospital - Fourmile Veterinary Clinic. Here at Cashel we do not whelp puppies out on the kitchen floor, backyard, dog house or in a drafty barn but are rather a small professional operation and our dogs live in a heated/air conditioned kennel with a full functioning kitchen. Our dogs receive exercise in our huge five acre fenced in paddock several times a day. I believe so strongly in the preservation of the greyhound breed that I left a long time career in state service to devote myself full time to raising them for availability to the public. Between myself and my eleven year old daughter, our dog's get tons of one on one attention and their every need is attended to - so you can rest assured your Cashel pup or dog has been brought up right with the utmost care and lots of love. All Cashel pups come with lifetime health guarantee in writing against genetic disease that covers heritable ocular disorders, hip dysplasia, congenital elbow abnormalities, cardiac problems, degenerative myelopathy or any other untreatable inherited debilitating disease that has been diagnosed by a licensed practicing veterinarian. Beware breeders who don't offer lifetime health guarantee and instead tout testing as a way to inflate their prices. Responsible breeders back their pups for life. Once you have a Cashel puppy you become a member of our family and we strive to make your, and your puppy's experience a happy one that will lead to a long satisfying relationship for everyone involved. We will gladly provide references of current owners of Cashel bred dogs - many of which are repeat customers with more than one Cashel Greyhound in their homes. 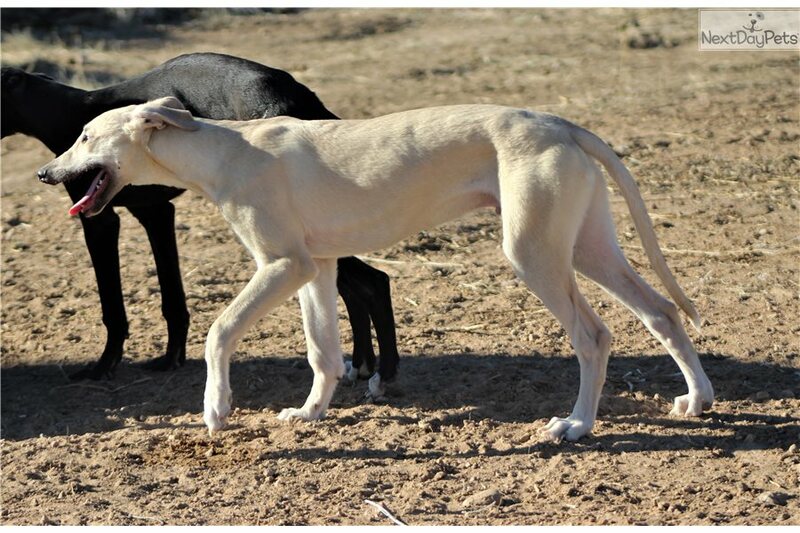 In the 50+ years our family has raised greyhounds we have never lost, or had a dog diagnosed with bone cancer or to bloat which is often fatal and very common in show greyhound bloodlines. papers and comprehensive buyer agreement that is designed to protect the buyer, seller and pup. This pup also comes with an identity tattoo. For the protection of your pup all vaccinations and de-worming are current. Shipping, travel crate and veterinary health certificate are at buyer's cost but breeder will assist in travel arrangements and get your pup boarded on the plane. We would love to meet you in person so if you can we would love to have you come by and visit!